TBC Occassions wants to make sure you feel your absolute best on your prom night! We have so many beautiful dresses to choose from and some incredible beauty tips to offer. The dress is only a piece of the puzzle. You still have to think about your skin, what style makeup you want to wear and how you want to do your hair! There is a lot that goes into prom and we're here to help! The first step to having glowing skin is drinking lots and lots of water! Water will be your best friend this prom season because it helps keep your skin clear and it's important to stay hydrated. The secret to taming acne is eye drops! Eye drops have inflammatory agents within it that helps reduce acne and redness. If you want to brighten your skin try a lemon scrub at night. Not only will it brighten your skin, but its so refreshing! Also, make sure to get enough sleep! Sleep is such an important factor when it comes to having amazing skin. If you are getting to start your makeup and notice your eyes are a bit puffy, don't panic! Just grab a couple cucumber slices and lay them on your eyes for about 10 minutes. The coolness will help reduce the puffiness. Last, but not least, Moisturize! Moisturize! Moisturize! Keep your skin looking hydrated and refreshed! 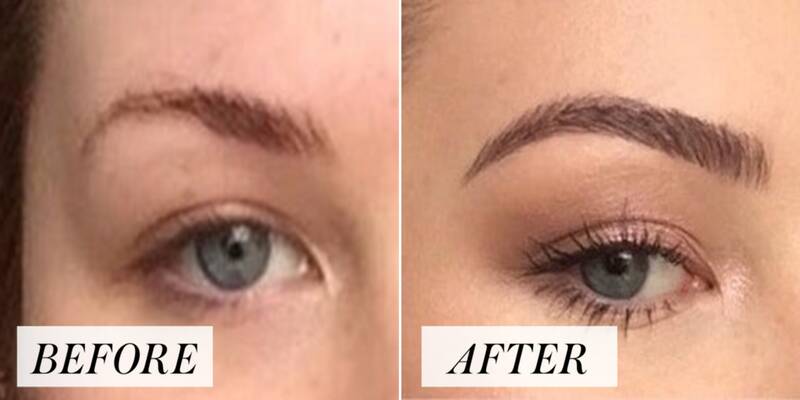 Brows will make all the difference in your photos, so make sure they are cleaned up and polished! Waxing, or plucking your brows can leave your skin red and irritated, so make sure to shape your brows a few days before to give your skin some time to heal. Also, don't forget to highlight. Add a little bit of highlighter right under you arch to make them look lifted and fuller! It's a love hate relationship with your hair, but these tips will guarantee you'll love it on prom night! Make sure your hair is healthy and hydrated by drinking lots and lots of water. A deep conditioner, or leave in conditioner will also make your hair super rich, soft, and shiny! If you are wanting to curl your hair make sure it's a little dirty by spraying hair spray all over it before you start curling. Curls hold better to dirty hair! After your done curling add another layer of hair spray. Hair spray will be your best friend. 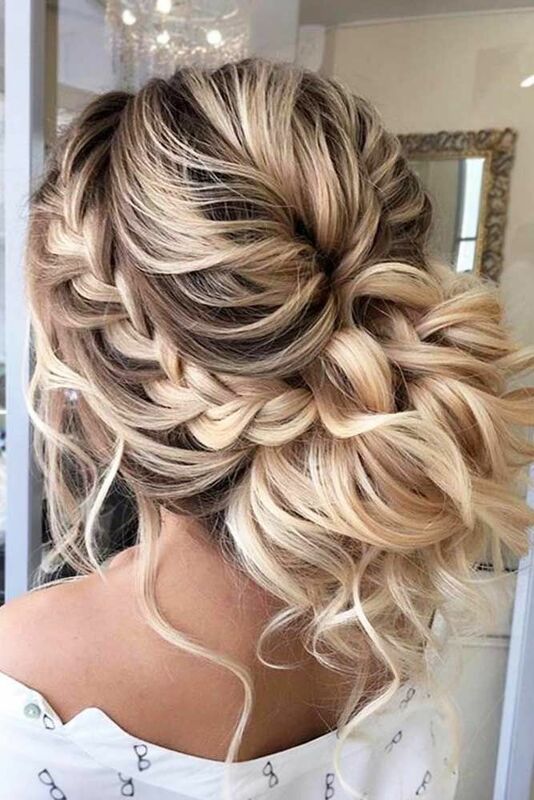 If you are wanting to wear an up-do, make sure the wavy part of your bobby pins are against your head and then add a little hair spray to it. It will hold all night long! If you have pesky fly aways, or baby hairs, grab a toothbrush and spray it with hairspray and rub the toothbrush over those hairs to lay them down and make them stay. Did we mention you should use some hairspray? Always use primer! A primer will fine your pores and allow your foundation to look smooth and natural. It also hydrates your skin and gives you a nice glow. When applying your foundation make sure to add some to your eyes because it will help your eye shadow stay on a lot longer! After applying your concealer under your eyes pat on translucent powder and leave it there for about five minutes. It will brighten up that under eye area. When applying your eye shadow use a cream base first then add a powder shadow on top to make the shadow stand out in pictures and last through all the dancing! When applying eye shadow it can sometimes fall on to your cheeks which can very difficult to get off all of the way. Try using some tape under eyes to catch all the fall through! Tape can also be useful when it comes to winged eyeliner. Apply some scotch tape to the corner of your eyes in an angled position and follow the edge of the tape with the eye liner. This will create the perfect winged eye! When it comes to your lips, make sure to brush them to get all the dead skin off. Your lipstick will last longer and look super smooth! The most important advice we can give when it comes to make up is to make sure it's all water proof! You want to be prepared for any kind of weather and for all of that dancing! If you're planning on dancing the night away make sure you have a long lasting deodorant or antiperspirant. Before you spritz the perfume, add a little Vaseline to the areas that you usually spritz (neck, wrist, collar bone, etc.). this allows the perfume to hold on to something and last a lot longer! Prom night is definitely not the time to try something that you have never tried before! If you want to try a new hairstyle, or style of makeup, make sure you give it a test run before prom to make sure you will absolutely love it! Stay with the styles you already know and love because nothing would be worse than not feeling your best on one of the most important and fun nights of your life! TBC Occassions wants to make sure you look your absolute best on prom night! Our stylists would love to give you any beauty advice, or tips! Make a statement with a beautiful ballgown for prom 2018. TBC Occasions is proud to offer a variety of beautiful bold ballgowns for your special night. Choose from different colors and styles and put together a beautiful look for prom 2018.